Karan gave the Gully Boy's team a toodles twist which turned out to be funnier than expected. 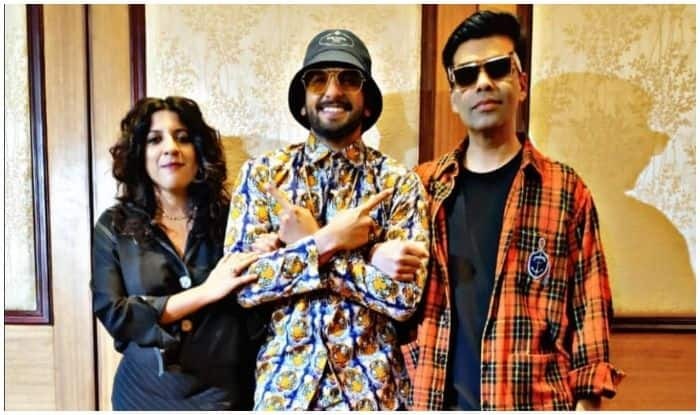 The nation is not as excited for the onset of Valentine’s Week as it is waiting on the edge for the release of Zoya Akhtar directorial, Gully Boy, starring actors Ranveer Singh and Alia Bhatt. As Bollywood love overrides romance, romantic flicks director, Karan Johar, caught up with the stellar lady director and the lead pair during the upcoming movie’s promotions who lost no time to set off with his toodles videos there and then. Famous for his toodles videos, which he started on the sets of India’s Got Talent where he was one of the three judges, Karan gave the Gully Boy’s team a toodles twist which turned out to be funnier than expected. Taking to his Instagram handle, Karan shared the bone tickling video in which he can be seen roasting the Gully Boy trio. Appreciating Zoya for her rap hype, Karan points out the obvious that is, Indians going crazy believing in “apna time ayega” and asks her where is her own time going, to which she hilariously replies that her time is consumed in featuring in his toodles. Comparing Alia’s look of the day to cassata ice cream, Karan asks her how it feels to release the movie in Berlin and her excitement through the response is contagious. He then points his camera at Ranveer who, before Karan can attack him with his roasting, seizes the moment to defend his co-star and says that cassata’s are layered and colourful and bring joy to the people. Not only that, Ranveer flaunts his cool tiger printed attire by calling himself a “tiger productions baby.” If this doesn’t crack you up and makes your day, we wonder what will. In the video, Karan also reveals that toodles was Zoya and Alia’s discovery and the foursome’s camaraderie is envious. Gully Boy also features Kalki Koechlin, Vijay Raaz, Siddhant Chaturvedi, Vijay Varma and Amruta Subhash in lead roles and is slated to release on February 14 this year. The movie is bankrolled by Farhan Akhtar and Ritesh Sidwani’s Excel Entertainment. Ranveer will be seen playing the role of a rapper in the movie.